Good Morning. This is Selma Stevenson this morning with a card to let us know we are never too old to set another goal or to dream a new dream. 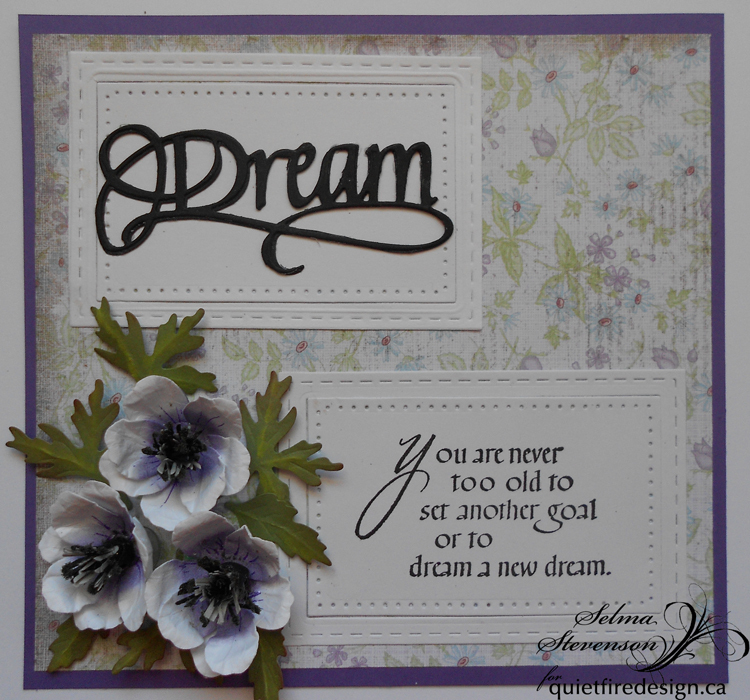 I love this sentiment and it pairs so well with the die cut, A Way With Words "Dream". 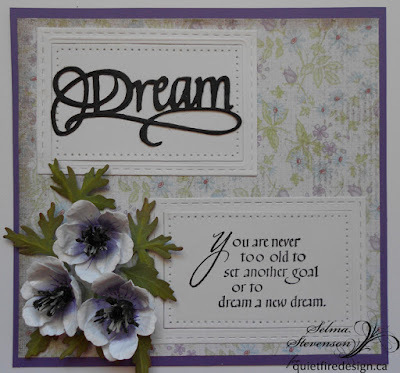 This sentiment was stamped, using VersaFine black ink, on one of the Elizabeth Craft Designs Stitched Rectangles. A matching frame was die cut for the die cut, A Way With Words "Dream". The flowers were created with Susan's Garden Anemone dies. The bird was die cut using Els van de Burgt die. Silk Microfine Glitter was used on the bottom layer of the bird die cut. 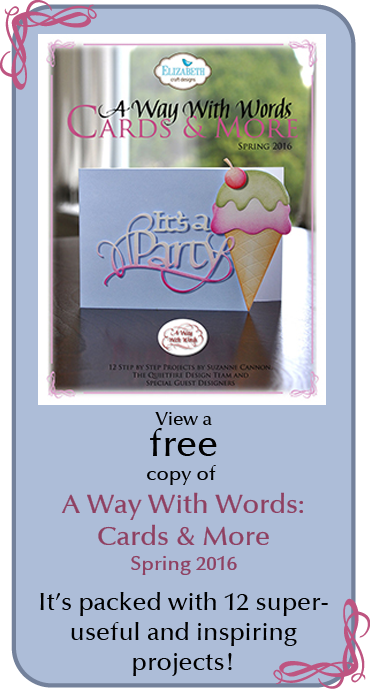 I hope you will check out all the beautiful calligraphic sentiments in the Quietfire collection. What a great quote in that beautiful script. Love the card and how great it looks. Your card is beautiful, lovely colors and very pretty anemones.